The EtherNet/IP Coupler Unit is the link between the EtherNet/IP multivendor network and the NX-series I/O Units and Safety Units. 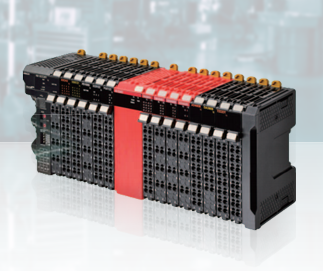 With wide variety of the I/O Units and Safety Units, the NX-series is the perfect match for the CJ-series and multivendor Controllers. Up to 63 NX-IO Units can be connected to one EtherNet/IP Coupler Unit. Standard and high-performance units can be mixed. I/O control and safety control can be integrated by connecting Units for safety.